Photo from Humber Hillman Car Club of New Zealand. 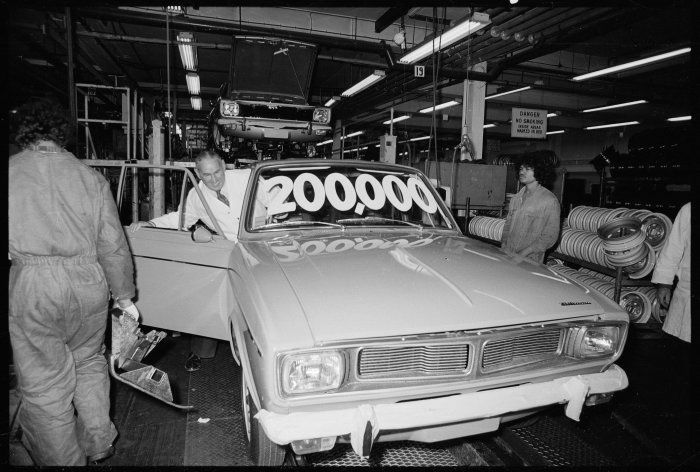 The 200,000th car to be built at the Todd Motors assembly plant at Petone, New Zealand. Driving the Hillman Hunter is Norman Thompson, an employee of Todd Motors for 46 years when this photo was taken in 1973. 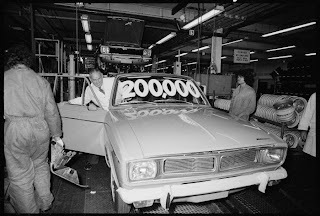 Also check out my other post regarding Todd Motors assembly line in Porirua, NZ. Wow I was surprised to find your site, I love it. My father had a 68 Hunter Safari (Station Wagon)and I have always had a softspot for the Hillman since. I might have some video and articles I can share here, will let you know. Dear Renier, OMG please do!!!!.... There so little information out there on the South African's Hillman Hunters, please send me an email shahin@paykanhunter.com Many Thanks!